Whether you want to become a licensed freight broker, work as a freight agent, or boost your trucking company profits, you need to invest in freight broker training options that will help you, not only meet, but exceed your business goals. Often times, if a person isn't already involved in the transportation industry, the first question that comes to mind regarding freight brokers is: "What is a freight broker?" A freight broker is a middleman working with the shippers/manufacturers needing to move their products and the carriers/trucks authorized to take possession of and haul freight. Freight brokers can be known by many different names within the transportation industry, such as: transportation broker, truck broker, trucking broker, and load broker. But, these names all refer to the same profession and can be used interchangeably. When a person decides they'd like to learn how to become a freight broker, they must consider not only the legal requirements of obtaining their freight broker license, but they must also learn how to perform the tasks required of a successful freight broker. An effective freight broker training course is essential for new brokers. 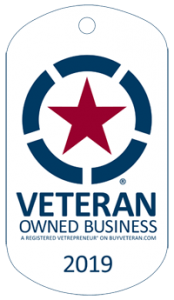 What is a Freight Broker Agent? After learning what a freight broker does, the next question is usually: "What is a freight agent?" A freight broker agent, or freight agent, works under a freight brokerage, generally by contract. The freight agent's contract with the freight broker allows the freight agent permission to broker freight using the brokerage name and license requirements. Freight agents are usually self-employed independent contractors working in commission only positions. Freight agents generally earn a commission of 50% to 80% of the freight brokerage profits from each of the loads moved by the freight agent. Along with securing and maintaining the broker's licensing requirements, the freight broker also handles the carrier invoice processing and payments, the shipper billing and collections, and the cash flow. The freight agent is expected to be able to prospect and bring in shipper customers and they are expected to be able to broker their customer's freight with very little direction from the brokerage. Most freight brokerage firms do not offer on-the-job training. All the Freight Broker Training Options You Need! Choose from Freight Broker and Sales Course Combination Packages to Downloadable Training Guides. We can help you learn how to broker freight. In this highly competitive industry, it's important that you research all of the available freight broker training options and carefully choose the freight broker school that's right for you. Freight Movers School will provide you with the transportation and logistics knowledge you need to obtain your freight broker license and become a freight broker. And, for those who would like to start out working as a freight agent, we guarantee agent placement with an established freight brokerage. The best part is that after you complete our courses, whether you start your own freight brokerage firm or work as a freight agent, you can work from home! If you prefer to read some freight broker training guides before signing up for a full training class, we have some excellent choices for you. 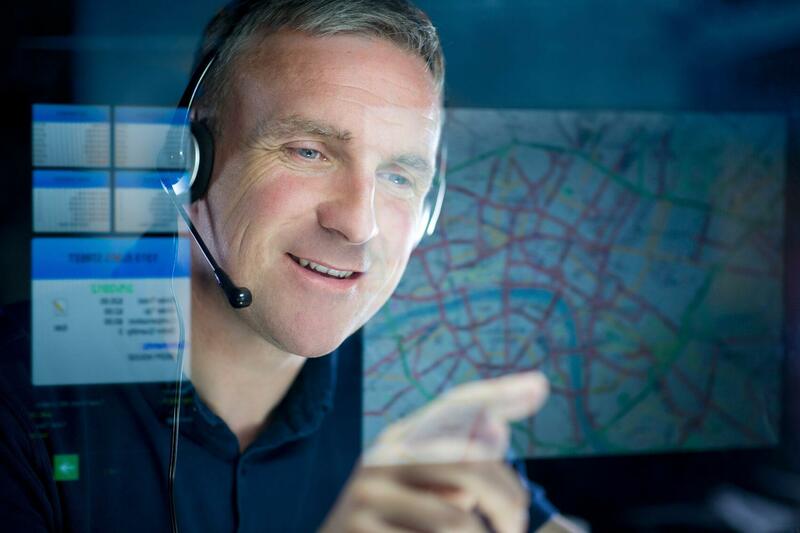 Written by seasoned professionals, these freight broker and truck dispatcher training guides will help you start working towards your goals of dispatching trucks, booking your own loads, or brokering freight. Make the choice to get started today! FREE eBook: "Becoming a Freight Broker"
Get it Now by Signing Up for our Monthly Newsletter! 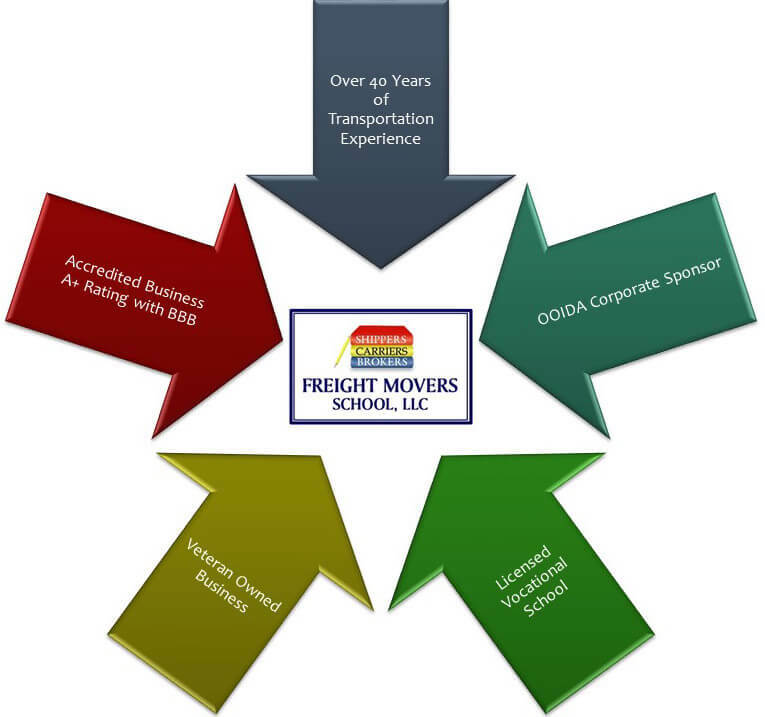 Who is Freight Movers School, LLC? Freight Movers School is the leading freight broker and freight agent training school in the country. If your goal is to learn how to become a freight broker or a freight agent, you are in the right place! Freight Movers School has the experience, knowledge, and reputation that you should be looking for in any freight broker school. We offer in-classroom freight broker training, as well as freight broker training online that can be completed from the comfort of your own home and on your schedule. Upon completion of your freight broker training with Freight Movers School, you will know exactly how to become a freight broker or a freight broker agent! Freight Movers School is noted as being the premier freight broker training school of today's generation. We can teach you how to broker freight! Having educated thousands of students in the art of freight brokering, we continue to maintain a SUPERIOR REPUTATION among transportation professionals nationwide. If you'd like to learn more about what it takes to become a freight broker, take a look at our Myths and Truths. For even more freight broker start-up information, we recommend reading through our Frequently Asked Questions. And, check out our Blog to get the latest on the world of freight brokering! Browse our course offerings and see why we are the freight broker school for you! Even after completing our training, we are committed to helping our students reach their goals. Our graduates are provided unlimited support via email or phone, guaranteed placement as a freight agent with an established brokerage, discounts on software, and referrals to some of the best professionals in the industry. These benefits, in addition to the great foundation of knowledge that our courses provide, make it easy to see that Freight Movers School is one of the best choices you could make regarding your future in the transportation industry. If you want to learn how to broker freight, then you have come to right place! Upon successful completion of our freight broker class, we offer GUARANTEED freight agent placement to those who want to work as a self-employed freight agent under a licensed Freight Brokerage! As an affiliate of FMS, an independent brokerage firm has agreed to offer agent contracts to our freight broker course graduates. This is a commission based independent contractor position. As an independent agent, you will receive a 60% / 40% split commission (60% to the agent, 40% to the brokerage) on every load you move. Your agent contract also allows for an increase of up to a 75% split commission, depending on your load volume revenue! Also, unlike other brokerage firms, you are not forced to sign a non-compete clause. YOUR SHIPPERS ARE YOUR SHIPPERS!! DeWayne is a very well educated instructor. He is very thorough with the information provided; giving examples of everything and first hand experience on every topic. As a shipper myself, I would definitely recommend this course to anyone in the shipping industry. Glad I made the time to attend! This class is something that I really needed. The instructor is very knowledgeable. He teaches the subject well. I will recommend this class to others! This freight broker class was very informative. Mr. Gilbreath knows how to present and is a very good teacher. Every hour of the time spent in the classroom was enjoyable. There wasn't a single boring moment. Mr. Gilbreath is a very knowledgeable instructor and an expert in freight brokering business techniques. Want to hear more from our course graduates? Head over to our Testimonials page to read more comments from graduates of our in-classroom freight broker training and our freight broker training online course.